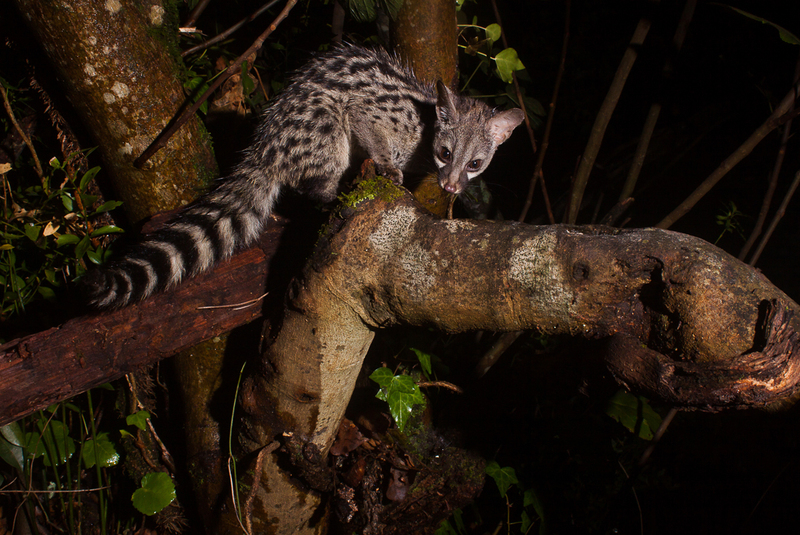 In a small native forest near Coimbra, Portugal, lives a family of genets. 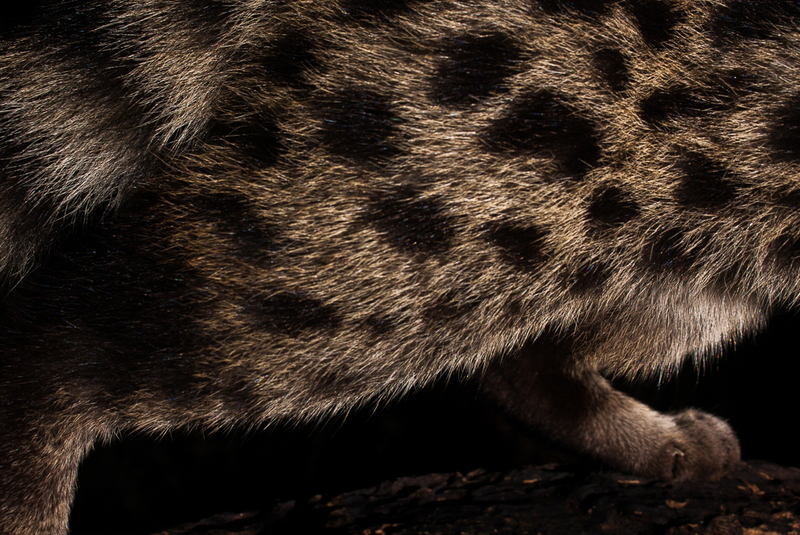 For a year, the biology student and nature photographer Manuel Malva accompanied these nimble carnivores. 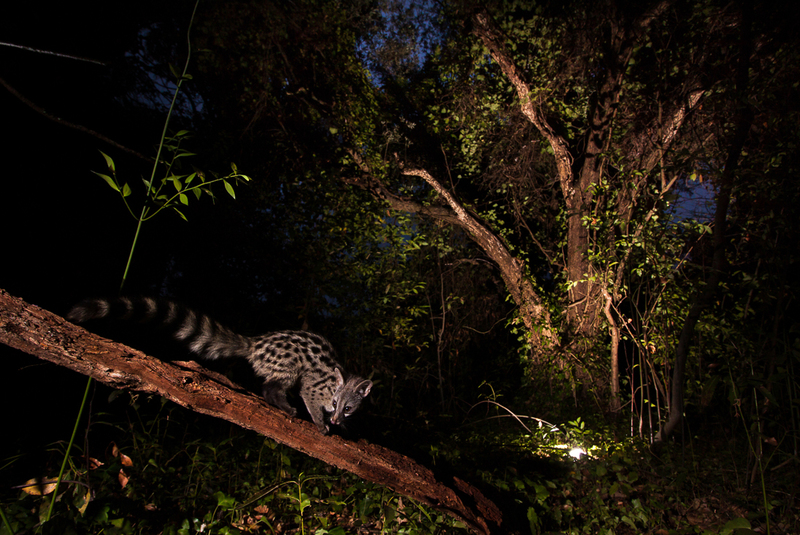 The common genet (Genetta genetta) is one of the most abundant carnivorous mammals in Portugal. 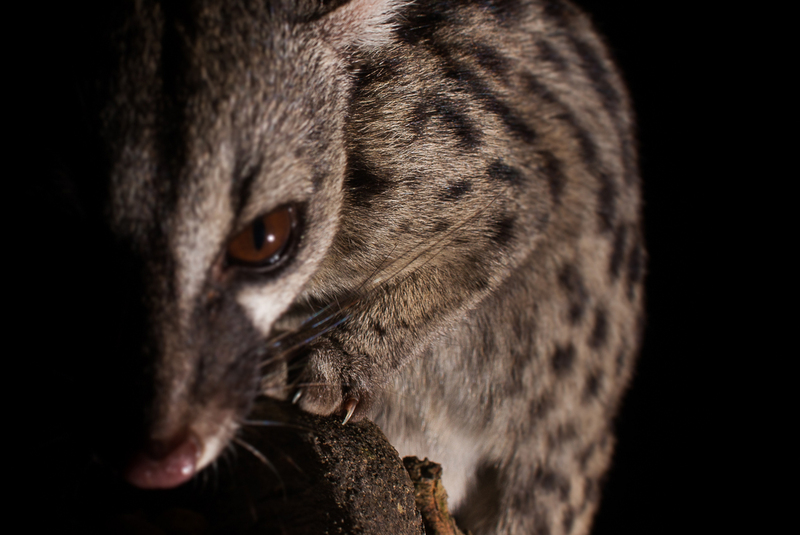 It has a slender snout, a long tail with black rings, and a grey fur with dark spots. It can weigh three kilos and reach 90 centimetres long, with the tail. It is famous for its agility, being an excellent climber. 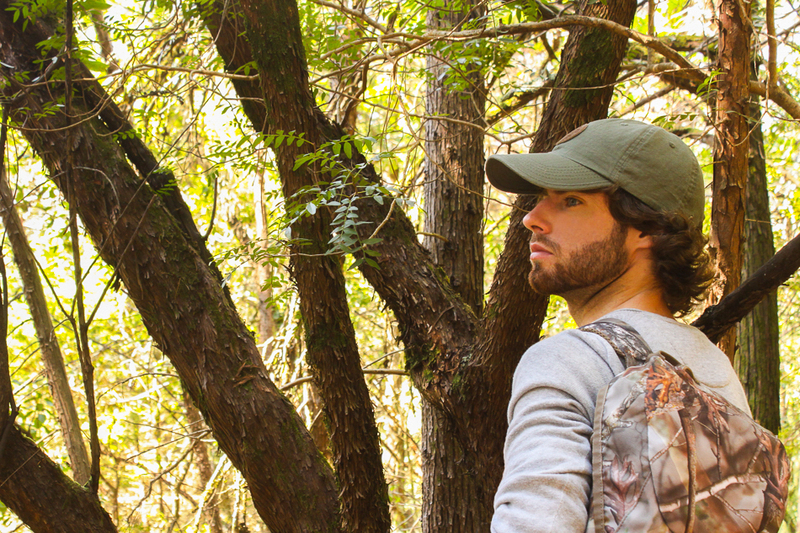 But it is not the easiest animal to spot. Almost every day, Manuel Malva visited the place to “make adjustments and maintenance of the material”. 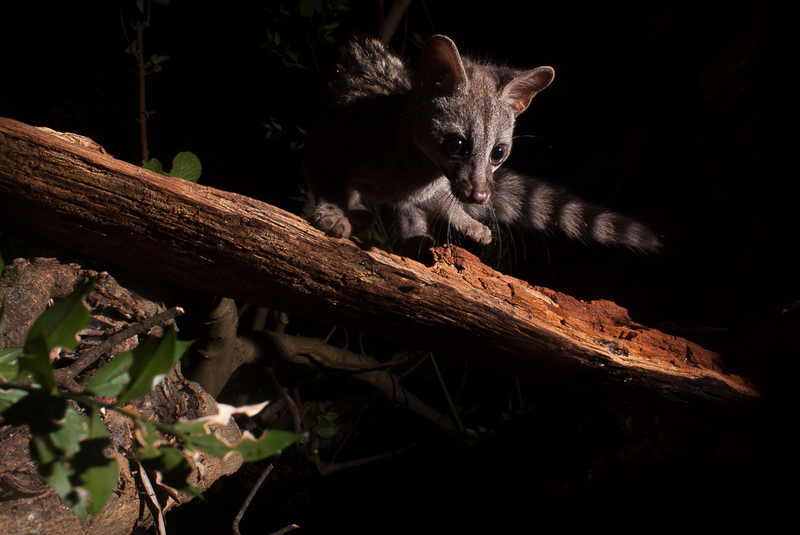 “All the images are the result of a monitoring work through a trap cam; then I used photographic trapping equipment with motion sensor, dslr and flash, which allowed me to obtain all the final images,” he added. 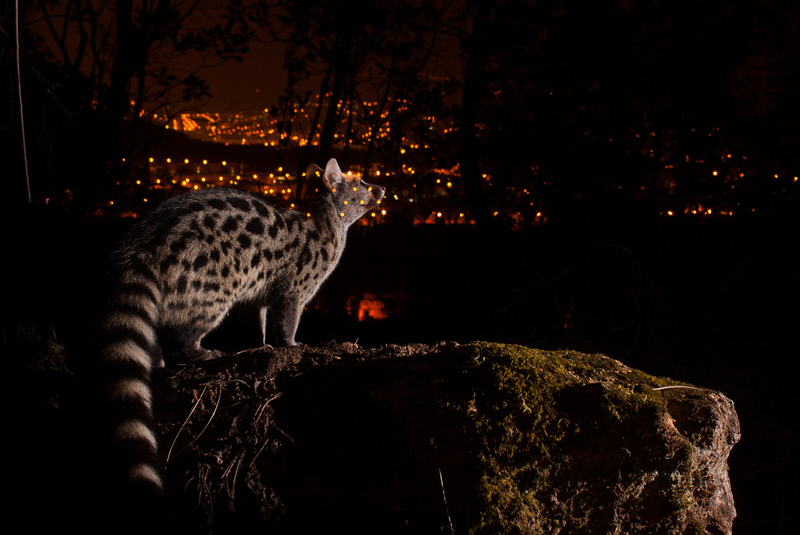 The protagonists of this story are two pairs of genets, observed from a single place of that forest of oaks, laurel and strawberry trees on the outskirts of the city of Coimbra. 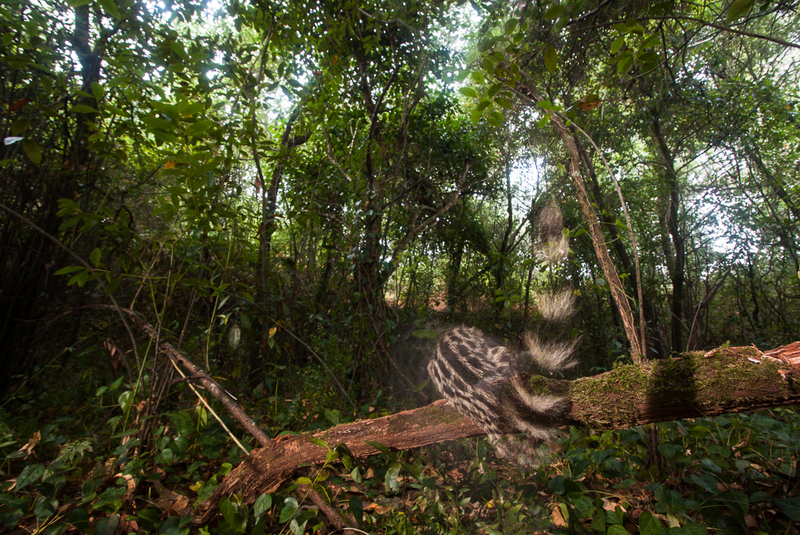 Despite being a predominantly nocturnal animal, Manuel Malva also managed to record its activity in broad daylight. And in summer, one of the females had two cubs, something that did not go unnoticed in this work. Along with the Biology study at the University of Coimbra, Manuel Malva does not neglect the knowledge and discovery of the natural world. 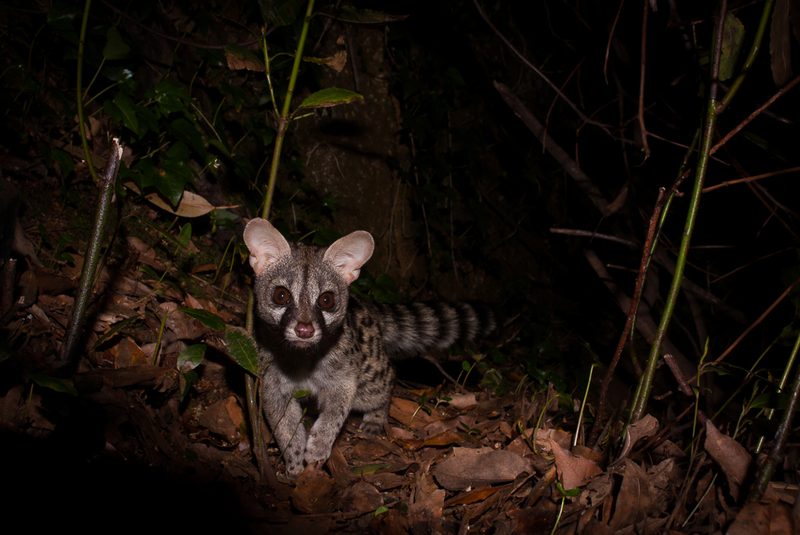 “One of my next projects has to do with the problem of running over wild animals, particularly these kind of carnivores, which includes the genet,” he said. This is a work that will be completed soon. Get to know Manuel Malva’s work here. Learn more about the mammals of our country through the Atlas of the Mammals of Portugal and find out how you can help to complete it.